Sometimes I am so in awe of what can be achieved with a little vision. 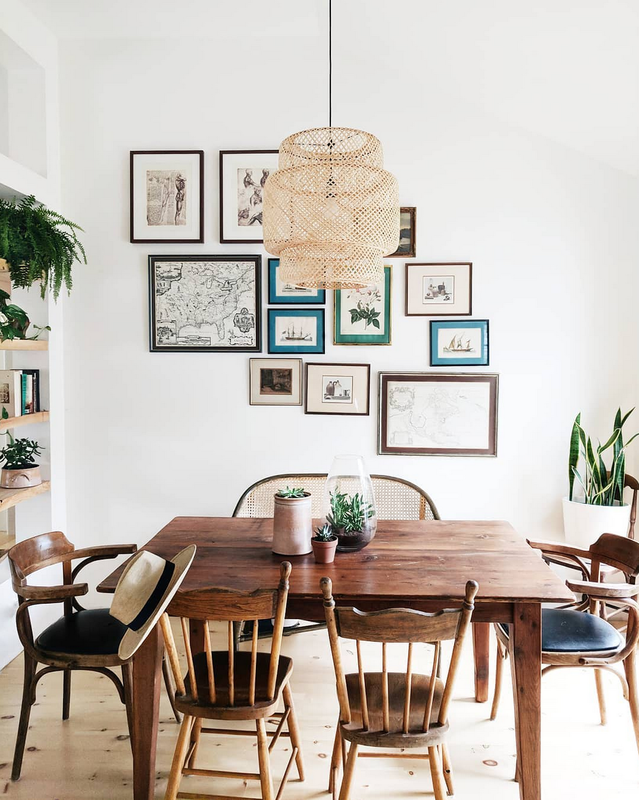 When interior designer and decor shop owner Kirstine and husband Steve acquired their 1950's bungalow in a small lakeside town just outside Toronto, Ontario Canada, it was dark and dingy and in desperate need of TLC. The couple completely gutted the space and spent a year transforming it into a wonderful open-plan, light-filled home on a budget for themselves, two cats and dog. I couldn't resist asking Kirstine a little more about the incredible transformation! What work have you carried out"
We did most of the renovation ourselves. It was a completely closed off layout until we gutted the entire place, drew up some design plans and converted it to an open concept kitchen / dining / living space with a vaulted ceiling. Were you daunted by the sheer level of work"
I am interior designer and worked in the field for 5 years before I started my own business in decor rentals and running a decor shop. Steve used to work in construction, so we both have experience in renovating and we typically know what we'll find behind the walls. Having said that, it was the craziest most intense thing we've ever done - most people get married and have kids, we did this!! I can imagine! What was your aim"